Riding an e-bike pedalling through the forest of the Cinque Terre national park, the sense of freedom and solitude I feel is liberating. There are the occasional tantalising glimpses of the Med and a vine terrace or two between gaps in the trees but otherwise, the silence is golden. 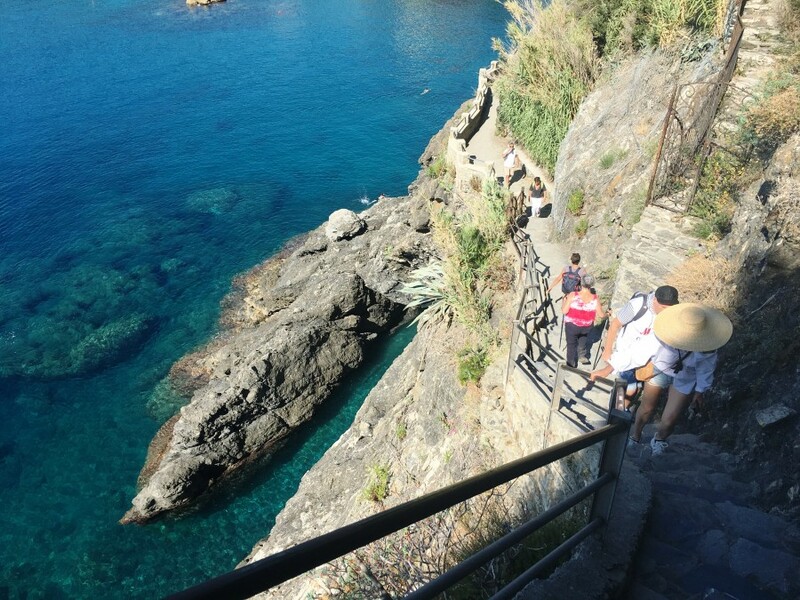 It is a far cry from yesterday, when I walked between Vernazza and Monterosso, two of the famous five villages of the Cinque Terre. The view was breathtaking of course; I might even class it as emotional. 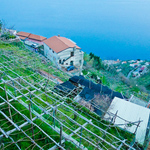 Quite how ancient vine terraces were constructed on almost vertical slopes is mind-boggling, let alone managing to harvest the grapes that make up that delicious Cinque Terre DOC white wine. Little wonder they only manage to produce around 5,000 bottles each year. But it was very crowded, entailing much stopping and starting as I stood politely to one side on the narrow paths allowing other walkers to continue from the opposite direction. Having said that, I do feel a sense of co-operation and unity; spurring each other on as we cross breathless and sweaty on the steep steps. Despite the obvious tourist traffic, the five villages of the Cinque Terre are still a must-see; a quite extraordinary collection of ancient and remote townships literally clinging to the sheer cliffs of the rugged Liguria coast. With no vehicle access available the only way to visit the Cinque Terre is either by ferry, on foot or, for the less energetic, by train, which shuttles between each village throughout the day. There is an added benefit of trekking all five in one day, and that’s the frequent pit stops you can make in each one between all the climbing. A cold beer or an energy building pasta in the lovely little piazzas, a well-deserved reward for all the effort. 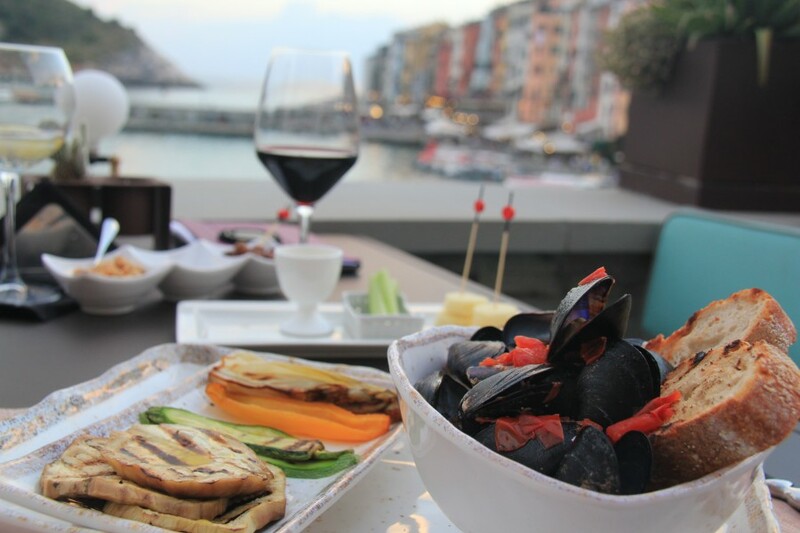 Top tips: Restaurant Gianni Franzi down in Vernazza’s tiny harbour square serves an excellent anti pasti della casa that includes those famous fried anchovies and a lot more besides. In Manarola treat yourself to some outstanding regional specialities at Manarola de Aristade where three generations of ladies perform culinary wizardry. But there is more to discover here than simply experiencing the famous five. 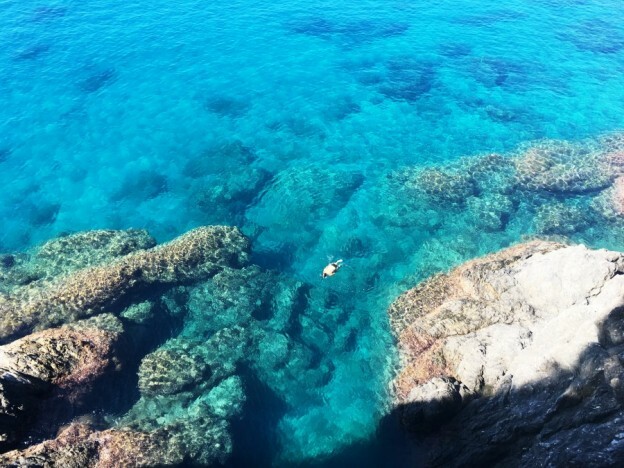 I base myself in La Spezia because of its direct rail access to the Cinque Terre, less than a 10-minute journey away. On first glance you might have some doubts as La Spezia’s former reputation as a rather colourful naval port town goes before it. It still is a working port town, a frequent dock for huge cruise ships using it as the gateway to Florence, Pisa, Lucca and of course the Cinque Terre. But La Spezia has transformed itself into a very welcoming city. 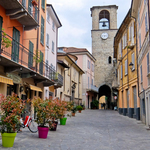 The partly pedestrian old town is a delightful place to wander the shops and restaurants around the twisty ancient streets. There’s a daily food market offering plenty of traditional Ligurian specialities including delicious pesto, sardines and focaccia, of course, the staple defaults of the region. Wandering around La Spezia I feel I’m getting a true authentic Ligurian experience as a local rather than a tourist. Away from La Spezia, tucked away on its own little peninsula on the Gulf of Poets, lies Portovenere; another gorgeous fishing town whose UNESCO protection is every bit as deserving as her famed five neighbouring sisters. Perhaps it’s a consequence of putting more effort into protecting the historic Castello Doria than simply spreading the word about her beauty. All along the old harbour, the lines of tall narrow pastel-coloured houses, once dwellings for military defenders, seem to form a guard of honour for the Castello behind. 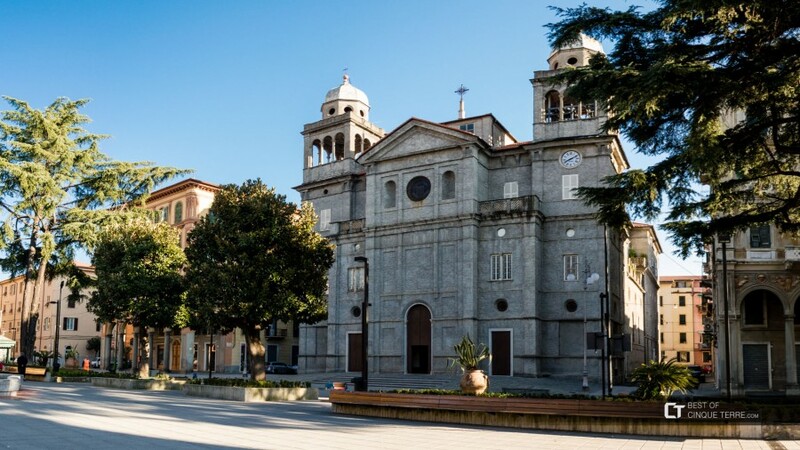 The town’s strategic importance and its triumvirate neighbouring islands of Palmaria, Tino and Tinetto did not go unnoticed by a host of former suitors. Everyone from Romans and Byzantines to Napoleon had a go at courting her. And her numerous bays and beautiful grottos provided the poetic inspiration for both Shelley and Byron. 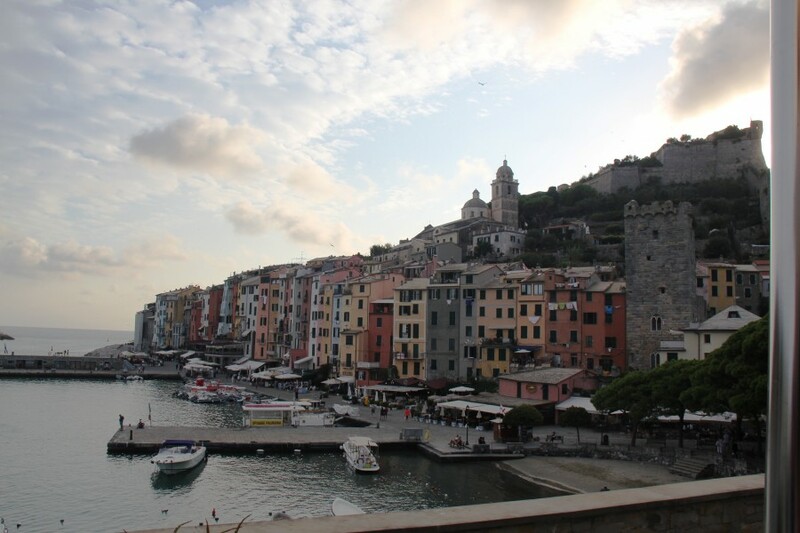 There’s no doubting the charm and elegance of old town Portovenere. Her peninsula isolation has seemingly made time stand still and in contrast to the famous five, there are fewer crowds. I board a boat in the harbour for a 40 minute guided tour of the archipelago. Just €12 gets you a front-row seat of Portovenere from the sea, up close and personal with the blue cave and Byron’s cave and a few glimpses of native white and black marble that the Romans found so appealing. Top tip: Grab a seat on the right side of the boat to get all the best views. Standing imperiously over the harbour is the Grand Hotel Portovenere, a former convent but now a five-star hotel. Dinner out on the La Palmaria terrace is the best place to enjoy a memorable meal and people watch. The view of the old town from here is very special, particularly at sunset when the pastel colours of the houses become even more vibrant. Later I meet up with Paolo Varella who heads up the Coop Mitilicoltori Spezzini, a local mussel and oyster farm cooperative supplying some of the best and freshest shellfish in the region. Paolo takes me out on his boat to visit the farm and shows me some of their unique green oysters. 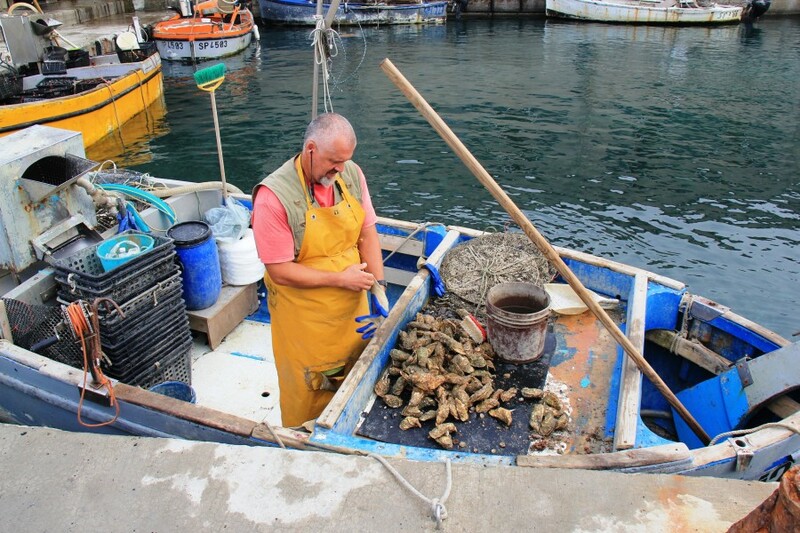 Oyster farming has been a recent introduction after Paolo, a marine biologist, became convinced the clean clear waters of the Gulf of Spezia would be an ideal environment for oysters to flourish. 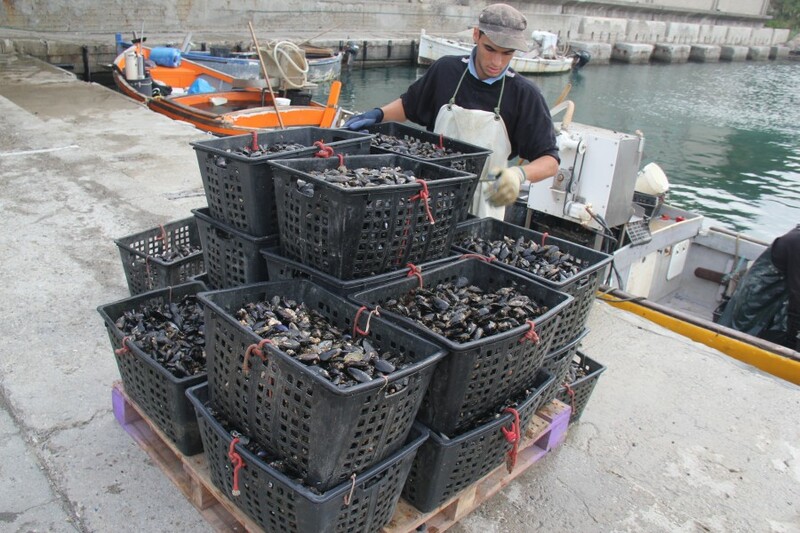 The mussels, on the other hand, have been farmed here for centuries, hand harvested in the traditional way to produce the very special cozze ripiene stuffed mussels. Paolo fishes out a sack full from the water “I have to drop them off to a hotel when I take you back.” He tells me. Somehow I already know what I’m having for dinner tonight. Back on my e-bike Luca my park guide stops as we emerge from the forest and I drink in the view. Each of the five villages, Riomaggiore, Manarola, Corniglia, Vernazza and Monterosso are stretched out in a line far below us defying the Mediterranean on their doorstep. Up here, it’s peaceful save for the toll of a lonely bell in the distance and the pleasant company of vines. Right at this moment, I can’t think of anywhere else I would rather be. Tell me more about Liguria beyond the Cinque Terre. 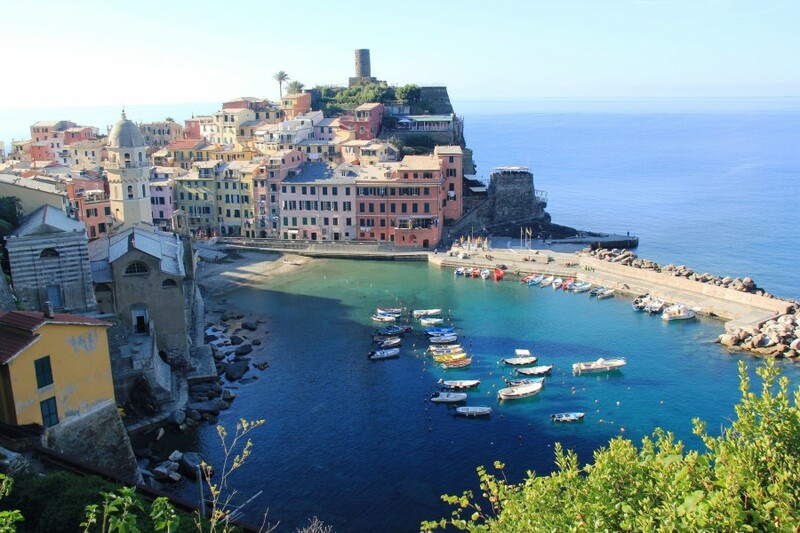 The Cinque Terre train MS Card provides access to the National Park, walking tours and unlimited train and bus services. From €16 pp for 1 day to €41 for three days. Discounted pensioner and child fees are available. Genoa is the nearest airport but you can also get to the Cinque Terre from Pisa. One week’s Meet and Greet airport parking at London Stansted Airport with Airport Parking and Hotels (APH) costs from only £68.90. 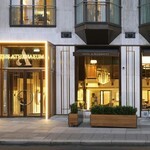 To book visit www.aph.com or call 01342 859536.